Professor Jeremy Logan (the quirky and charismatic “enigmalogist” who specializes in solving problems of the strange or seemingly supernatural variety) receives an urgent summons from the director of Lux, one of the oldest and most respected think tanks in America. An unexplainable tragedy has taken place in the sprawling compound located on the coastline of Newport, Rhode Island. One of Lux’s most distinguished doctors, overcome by erratic behavior, violently attacked his assistant before meeting with a gruesome self-inflflflffllflicted end. Deeply shaken by the incident and the bizarre evidence left behind from the doctor’s final project—as well as recent troubling behavior among several of the think tank’s other scientists—Lux fears there is something more sinister occurring within its walls and looks to Jeremy Logan to investigate. Logan quickly makes a surprising discovery. 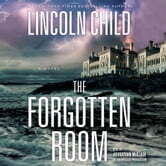 In a long-dormant wing of the estate, he uncovers an ingeniously hidden secret room, unknown and untouched for decades. The room is essentially a time capsule, fiffiilled with eerie machinery and obscure references to a top-secret experiment known as “Project S.” As Logan attempts to unravel its meaning, he begins to discern what transpired in that room—and why the frightening project was suddenly abandoned and sealed off many years before. As his work draws him ever deeper into harm’s way, Logan soon unleashes a series of catastrophic events upon the rest of Lux . . . and himself. 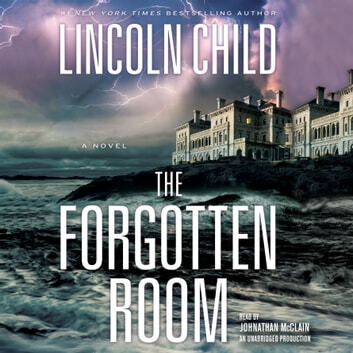 One of Lincoln Child’s most thrilling novels to date, The Forgotten Room is replete with exhilarating action, veiled history, and mesmerizing science—making for a truly intelligent page-turner.